One of the most popular forms of cloud computing is software-as-a-service (SaaS), defined as a software distribution model in which a service provider hosts applications for customers and makes them available to these customers via the internet. SaaS is one of the three major categories of cloud services, along with infrastructure-as-a-service (IaaS) and platform-as-a-service (PaaS). Given its ease of access, SaaS has become a common delivery model for many types of business applications, and it has been incorporated into the delivery strategies of enterprise software vendors. There are SaaS offerings available for a variety of business applications, including email and collaboration, customer relationship management (CRM), billing/payroll processing, sales management, human resources management, financial management, database management, enterprise resourcing planning (ERP), content management, and document editing and management. As with other cloud services, organizations typically pay for SaaS through a subscription fee, on a monthly or annual basis. This contrasts with the traditional model of paying for software through a perpetual license, with an upfront cost and optional ongoing support fee. SaaS providers usually price applications based on some type of usage parameters. For example, they might charge based on the number of people using the application, the number of transactions, or some other measure of usage. Users typically access the applications using a web browser; in some organizations, they may also use a thin-client terminal. Most SaaS offerings are based on a multitenant architecture, in which a single version of an application is used for all the service provider’s customers. Organizations using SaaS applications can change configuration settings and customize the software, within certain parameters, to meet their particular needs. But they can’t customize its code or features to the same degree that is sometimes possible for enterprise software they install locally on users’ PCs or provide from their own datacenters. Among the top reasons for using SaaS is it saves organizations from installing and running applications on their own systems. That eliminates or at least reduces the associated costs of hardware purchases and maintenance and of software and support. The initial setup cost for a SaaS application is also generally lower than it for equivalent enterprise software purchased via a site license. Sometimes, the use of SaaS can also reduce the long-term costs of software licensing, though that depends on the pricing model for the individual SaaS offering and the enterprise’s usage patterns. In fact, it’s possible for SaaS to cost more than traditional software licenses. This is an area IT organizations should explore carefully. SaaS also provides enterprises the flexibility inherent with cloud services: They can subscribe to a SaaS offering as needed rather than having to buy software licenses and install the software on a variety of computers. The savings can be substantial in the case of applications that require new hardware purchases to support the software. The pay-as-you-go model of payment lets enterprises shift costs to an ongoing operating expense (aka opex) for easier-to-manage budgeting. They can stop subscribing to SaaS offerings whenever they want and thus stop those recurring costs. Because the applications delivered via SaaS are available over the internet, users can usually access the software from any devices and locations that have internet connectivity. The ability to run on both mobile devices and computers contrasts with many traditional enterprise applications’ computer-only availability. SaaS offerings also tend to support MacOS, iOS, and Android, not just Windows—as well as run on multiple browsers such as Google Chrome, Apple Safari, and Mozilla Firefox, not just (the soon-to-be-discontinued Microsoft Internet Explorer). Another benefit is easy scalability. Cloud services in general allow enterprises to ramp services and/or features up or down as needed, and SaaS is no different. That’s especially important for enterprises whose businesses are cyclical in nature, as well as for organizations that are growing quickly. SaaS customers also benefit from the fact that service providers can make automatic updates in software—often on a weekly or monthly basis—so enterprises don’t need to worry about buying new releases when they are available or installing patches such as security updates. This can be especially appealing to organizations with limited IT staff to handle these tasks. SaaS comes with a set of risks and challenges that enterprises need to be aware of to maximize the benefits of the delivery model. Similar to other cloud services, users of SaaS rely their service providers to be up and running at all times so that they can access applications as needed. They also depend on the providers to ensure that the software is kept up to date in terms of new features, security patches, and other changes. Although SaaS providers take great measures to ensure continuous uptime and availability, even the largest vendors can experience unexpected interruptions in service. Companies that use SaaS can expect to lose some level of control when it comes to accessibility, which is one of the trade-offs of cloud computing in general. This loss of control can extent to other areas, such as when a service provider adopts a new version of an application but an enterprise is not ready to make such a change or doesn’t want to incur the costs of training users in the new version. 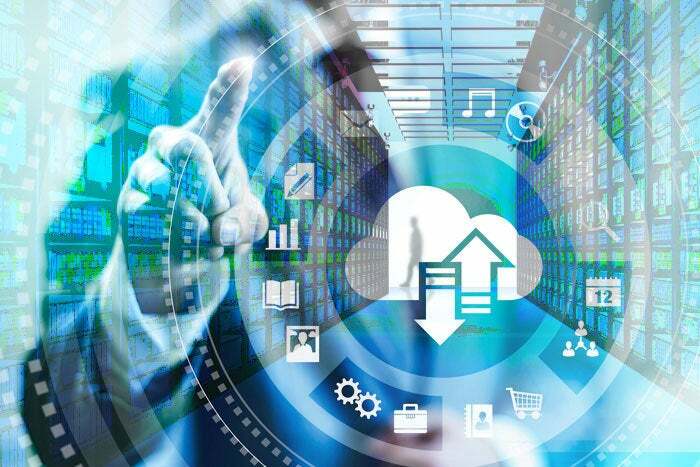 If enterprises decide they want to switch to a new SaaS provider, they might confront the difficult task of moving extremely large files over the internet to the new provider. By contrast, changing locally deployed software usually doesn’t change the location of the files, which tend to reside in the enterprise’s own datacenter. Security and privacy are also issues, as they are with other cloud services. If a service provider experiences a data breach, that can compromise safety of the enterprise’s data and the availability of the services. Other potential risks relate service quality and user experience. Despite improvements in networking technology, because SaaS applications might be hosted far from where users are located, there can be latency issues that affect response times for applications. Many organizations do not have a broad cloud strategy, and this has led to a rise in business users acquiring SaaS applications on their own—without the knowledge of IT—to fill in gaps that exist. That can lead to wasteful spending, poor data management, and extra work to move processes and data from one non-integrated system to another. Among the leading enterprise SaaS providers are ADP, Adobe Systems, Box, Citrix Systems, Dropbox, Google, IBM, Intuit, Microsoft, Oracle, Salesforce.com, SAP, ServiceNow, and Workday. But hundreds of companies offer their software as SaaS, from mobile management tools to expense report management, from video transcoding to financial calculations, from customer data cleanup to computer-aided design (CAD). Because SaaS offerings can come from so many providers, a key trend is the rise in integration among vendor offerings. There are both services meant to integrate multiple SaaS applications, such as to provide single signon and access management across them, and efforts within the SaaS vendor community to create integrations across multiple providers’ software so enterprise processes can flow more easily across those applications sourced from multiple providers.